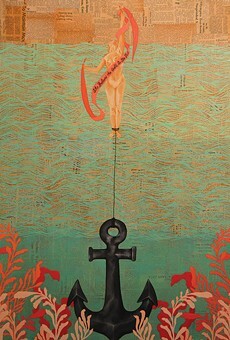 Arts Out Loud presents Speak Out Loud! 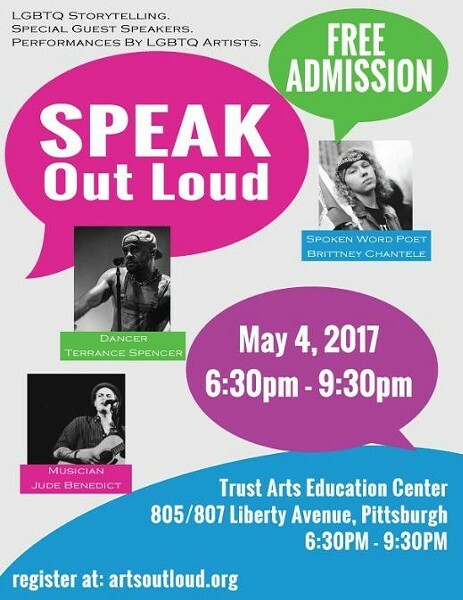 Arts Out Loud will host Speak Out Loud Pittsburgh!, a free storytelling event bringing the community together. The unique forum promises to be intimate and personal; amusing, moving and inspirational, as individuals with different backgrounds and careers related to entertainment take the stage to share their personal tales of opposition, support, failure, and success. Special guests include dancer and choreographer, Terrance Spencer; spoken word poet, Brittney Chantele; musician, Jude Benedict; a member of the Mayor's LGBTW Advisory Council; other local arts industry professionals.